Yew Chung | 8x8, Inc. The Yew Chung Educational Foundation established its first bilingual school in Hong Kong in 1932. Over the next 70 years more Yew Chung schools were founded throughout China. And in 2002, with Yew Chung International School of Silicon Valley (YCIS) opening its doors in Mountain View, California, it turned to 8x8 for a scalable, global business phone service provider. YCIS prepares students to become citizens of the world by providing a bilingual, co-cultural environment that promotes fluency in both English and Mandarin. 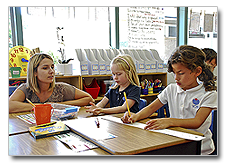 Currently there are 175 students enrolled at the Mountain View, California campus, which has one location for K through 5 and another for preschool. But while YCIS is internationally recognized for its unique educational model, the school’s antiquated telephone system was a major problem for IT Systems Manager, Tom Huynh, an outside consultant who contracts with the school through Taos, an IT consulting and services company. In 2011, the administrators of YCIS decided to switch campuses with the neighboring German bilingual school. Faced with the costly prospect of having to physically relocate the YCIS phone system, Huynh began looking for less expensive alternatives. Word soon got out that the school needed a new phone system, and one of the parents suggested Huynh try 8x8 business VoIP service. Huynh contacted 8x8, and the company quickly replaced the school’s ancient on-premises PBX with a virtual one, and then ported the school’s telephone numbers over to 8x8. When the time came to switch campuses, Huynh had no problem relocating the school’s phone system. Once YCIS settled in to the new campus, the savings from their 8x8 phone system continued to grow. 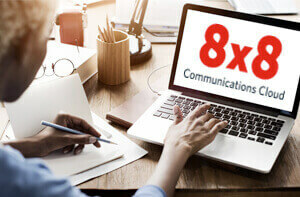 8x8 offers a global calling plan that includes unlimited calling for a flat monthly fee to 40 international locations—including the locations YCIS calls the most: Hong Kong, Shanghai and Beijing. “We save about $150 a month on international calls,” says Hsien. "No matter what we need, 8x8 always comes through for us." 8x8’s enhanced phone features have also been a hit with YCIS users. For example, the school can now use simple 4-digit extension dialing to stay in touch with the preschool location. YCIS Principal Kevin Reimer likes the flexibility and control 8x8 provides in handling both outbound and inbound calls appropriately. Although teachers and staff have their own individual phones, the outbound caller ID on all phones displays the school’s main number. That way, parents immediately recognize that the call is coming from the school, and if they call back using the stored number, they reach the school’s main office instead of interrupting a teacher during class time. Two ring groups are enabled so that YCIS staff can answer calls efficiently during school hours. If one staff member is busy, calls automatically roll over to a second phone where another staff member answers them. YCIS uses call forwarding to provide convenient call coverage during the school’s after-school program from 5 to 6 p.m. When the school secretary leaves the main office at 5, she forwards calls to the business manager’s office. The business manager can then answer calls from her own desk during the after-school program instead of having to go to the main office every time the phone rings. 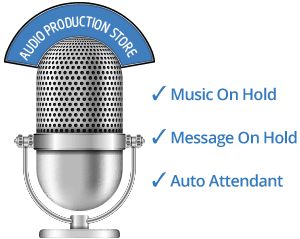 Hsien notes that the 8x8 Auto Attendant’s night greeting is another very convenient feature. For Principal Reimer, email notification of voicemail messages makes his job easier. In addition to phone service, YCIS uses 8x8 fax service. The YCIS fax machine is plugged into an analog adapter connected to the Internet. School administrators use the fax service to send signed business documents to Hong Kong, and the school’s accounting department uses it to receive quotes from vendors. Tom Huynh completely agrees with his YCIS colleagues about the many advantages of 8x8 phone features, but the system’s ease of administration is what won him over.